ALL of our Dallas Segway Tours! *Must book through website to get $49 offer. Book now to take advantage of this limited time offer. Offer ends soon! Our Downtown Dallas Sightseeing Segway Tour is offered twice daily at 12pm and 3pm. This Segway tour is approximately 2 hours in length including training. This Segway tour is geared towards gliding around downtown as your local guide highlights the incredible architecture of our city’s skyline. 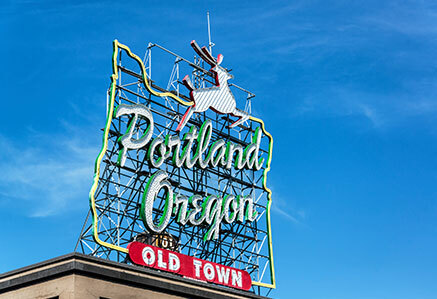 There are numerous unique displays of public artwork, historic plazas, and scenic parks that host local events. Points of interest are the iconic Bank of America Tower which stands as the tallest building in North Texas, Renaissance Tower which was made famous in the hit TV show “Dallas”, the Historic Adolphus Hotel that once hosted the Queen of England and several U.S. Presidents, the flying red Pegasus atop the Magnolia Hotel (formerly used as Mobile Oil Headquarters), Neiman Marcus Headquarters, AT&T Headquarters, Main Street Garden, Thanks-Giving Square. 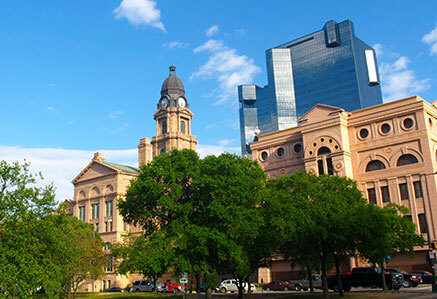 While gliding with your Dallas Segway tour guide downtown, you will visit prominent landmarks such as our Old Red County Courthouse, the Pioneer Plaza bronze statue complex, and Reunion Tower. Near the end of the tour, guests will visit the JFK Memorial, infamous Dealey Plaza, Texas School Book Depository, and the Grassy Knoll. 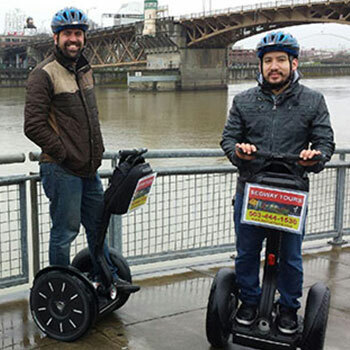 This Segway Tour is a great mix of Segway gliding and fun facts. Our Historical Landmarks and JFK Segway Tour is offered once daily at 9am. This Segway tour is approximately 2 hours in length including training. 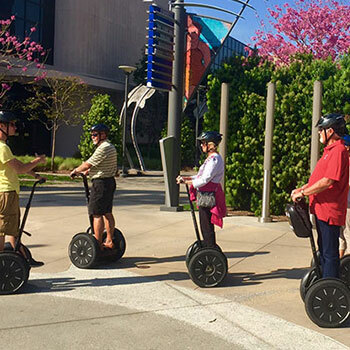 This Dallas Segway tour is both a historical adventure through downtown Dallas and a great way to sightsee all that downtown Dallas has to offer. 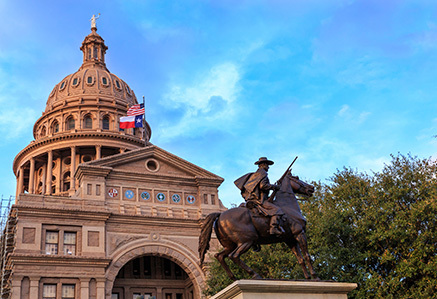 Your Segway tour starts with the famous Pioneer Plaza, home to the largest bronze statue complex in the world, and an introduction into how the cattle drives were instrumental in helping Dallas grow into the world class city that it is today. Your Segway tour continues towards Dallas City Hall for great photo opportunities, travels through the exciting Main Street District, Dallas’ Arts District, and the city’s gem- Klyde Warren Park. After a short break, your Segway tour will continue towards the infamous Dealey Plaza, passing the JFK Memorial, Old Red Courthouse, and Founder’s Plaza. At Founder’s Plaza you will learn about the founding of our great city and see a model of John Neely Bryan cabin. Once in Dealey Plaza, your Segway tour guide will give in an in-depth look at the events that took place back in 1963. 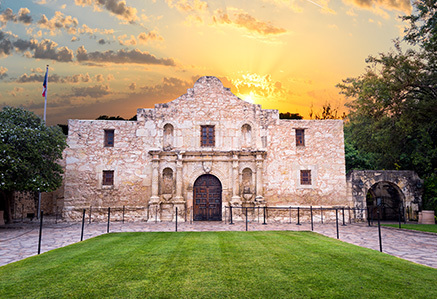 Sites your tour guide will point out and discuss include The Grassy Knoll, Texas School Book Depository, the 6th Floor window where Lee Harvey Oswald was perched, President Kennedy’s motorcade route, and much more. 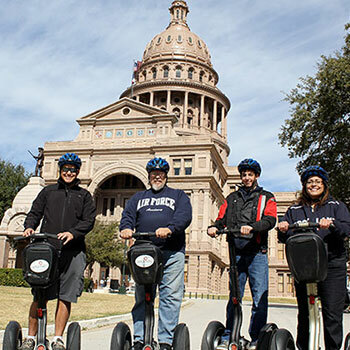 Throughout your Dallas Segway Tour, your Local Guide will also recommend great photo opportunities, places to eat, and other fun activities in the area. This Segway tour is the absolute best way to experience downtown Dallas. 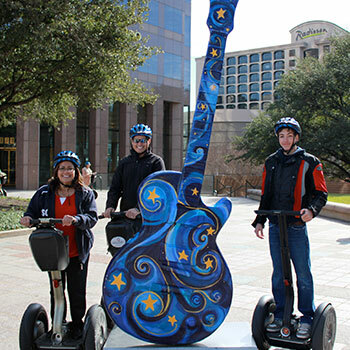 Our Dallas Arts District and City Lights Segway Tour is offered once daily at 6pm. This Segway tour is approximately two hours in length including training. This Dallas Segway Tour takes place in the late evening and is the perfect idea for anyone wanting to explore downtown Dallas after most of the downtown business traffic has gone home for the day. 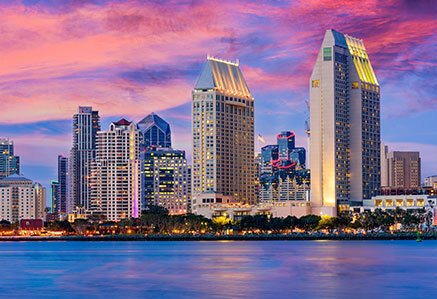 Glide with your tour guide past famous landmarks, historic plazas, and unique art displays. What makes this Dallas Segway tour unique is its focus on the Dallas Arts District, which has grown into the largest contiguous arts district in the USA. Your Segway tour guide will show you the AT&T Performing Arts Center – Winspear Opera House, Wyly Performing Arts Center, Nasher Sculpture Center, Morton H Meyer Symphony Center, and the Crow Collection of Asian Art. Other upcoming sites that your tour guide will point out include Belo Mansion and Arts Plazas 1,2 and 3. This is the only Dallas Segway tour that doesn’t visit Dealey Plaza, but instead cruises over to the JFK Memorial, Old Red Courthouse, and Founder’s Plaza. Other sites visited include the famous Omni Hotel, Reunion Tower, Bank of America Tower, the Majestic Theater’s iconic marquee sign, and First Baptist Church. Come see why this Segway tour of Dallas has become the premier activity for birthday celebrations, date nights, and for local residents looking to explore the city’s nightlife. Please call ahead for reservations. Call 214-983-6225 for assistance. Our tour guide will meet you 30 minutes before the tour. 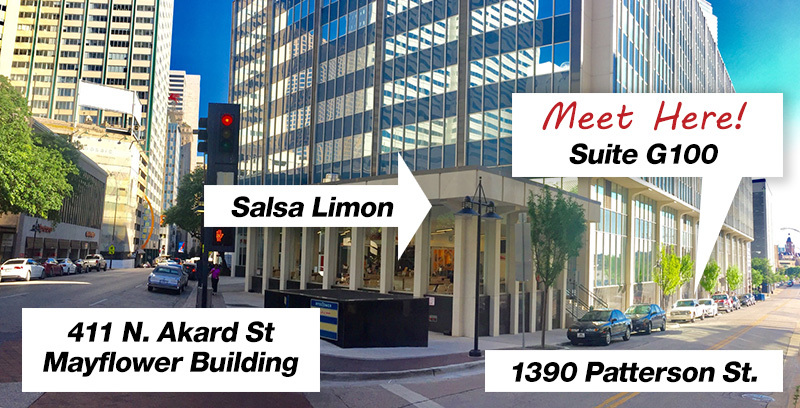 We are located at 1390 Patterson. If coming from Field Street, turn North onto Patterson. If coming from Akard Street, turn South onto Patterson Street. Our physical location is 1390 Patterson St. There is lot parking across from our office at 1390 Patterson St. There are multiple lots and prices fluctuate depending on the day of the week and season. 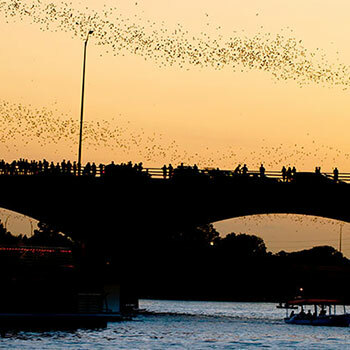 Dallas is a very large and busy downtown, so please give yourself ample time to find parking. Our tour guide will meet you 15 minutes before the tour in front of our storefront at 1390 Patterson. Minimum age is 14 years old and minimum weight requirement is 100 pounds. Maximum weight of 275 pounds. Pregnant guests please refrain from participating. Guests should be able to climb stairs without assistance and stand for at least 1 hour. Guests will receive group Segway training as well as individual training. Guests will be provided with a helmet and must fill out a liability waiver form. Riders under 18 must have a parent sign waiver and at least one parent or guardian be on tour with them. 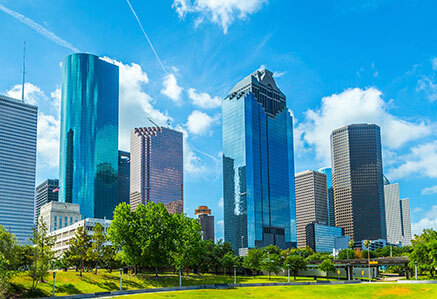 Dallas, Texas is a great place to visit before or after your Segway Nation Tour. 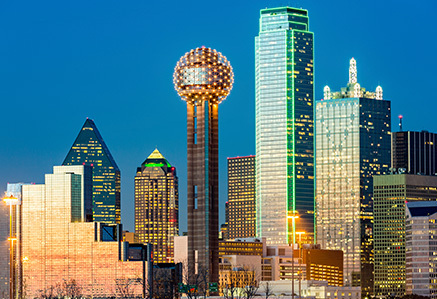 Dallas’s attractions include the Dealey Plaza, JFK Memorial, West End, Victoy Park, American Airlines Center and many others. Dallas also hosts the Texas State Fair every year! 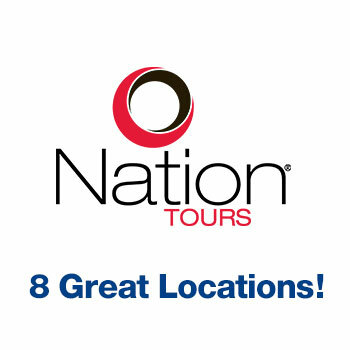 Dallas Segway tours are operated by Nation Tours, Inc. Nation Tours, Inc does business as Nation Tours and Segway Nation. The Nation Tours name and logo is a trademark of Nation Tours, Inc. Segway, the brand and the logo are trademarks of Segway, Inc. All rights reserved. 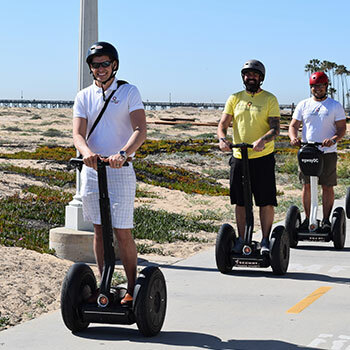 All tour lengths are approximate and can vary depending on rider capabilities and the size of the Segway tour group. Locations mentioned in the Segway tour descriptions can change depending on the weather, downtown traffic, and size or capabilities of the Segway tour group. 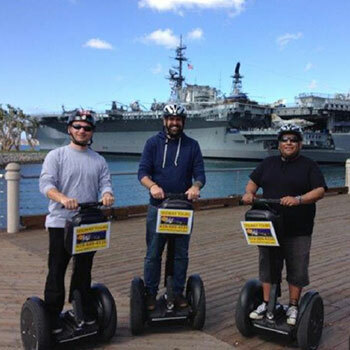 Nation Tours, Inc is a family run business and that has grown into one of the largest and most experienced Segway dealers and Segway tour operators in the United States. 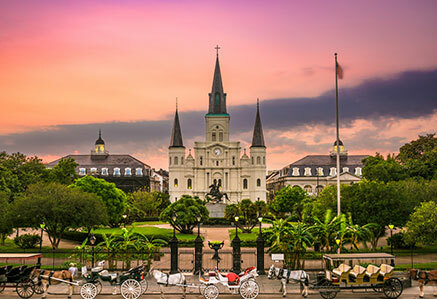 Founded in 2009, Nation Tours, aka, Segway Nation, operates Segway tours in multiple cities throughout the United States including Dallas, Texas. For over 8 years, we have prided ourselves on great customer service, and this is evident in the thousands of five-star reviews we have received from all over the world. Please call our offices if you have any questions or comments. Book your Segway tour with the most trusted name in Segway tours, Nation Tours. Happy Gliding! “yah” 🙂 This is my second time doing the Segway tour of Dallas. 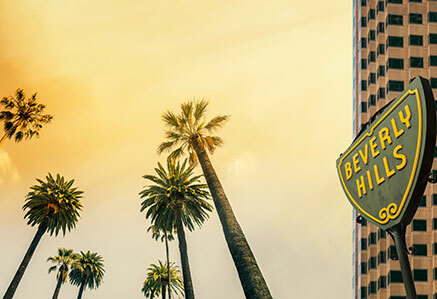 What a great experience, especially if you are looking for something to do with an out-of-town guest. The tour guides packed so much energy in and were so personable. I thought of the tour guides like part of the group, friends. I had so much fun on my tour with Rachel this past weekend. It was my first stop, during my first trip to Dallas and it was so nice to have a Dallas native guide me around.